Today is a great day to think about picking up a new 4G LTE smartphone from Verizon. Not only do you have the new DROID 4 (our hands-on) to consider, but you can buy a DROID RAZR and receive a 2nd one for free through a BOGO deal that just went live. 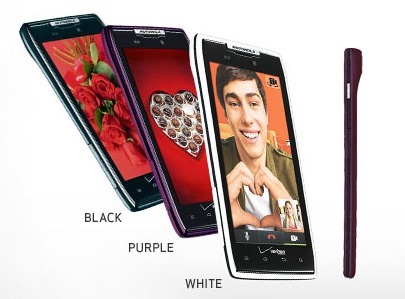 We were told that the RAZR MAXX would also be a part of this BOGO promo, but VZW’s site doesn’t necessarily reflect that up front. Oh, and if you are a new customer, Big Red will double your 4G LTE data plan from 2GB to 4GB or 5GB to 10GB at regular pricing.